We publish extensively in the peer reviewed literature. Papers are the commodity upon which scientific careers are evaluated. These days publication records are maintained by external databases. The three most prominent are given below. Google Scholar, yet another database (thanks Sergey... your database is particularly generous with citation attributions). 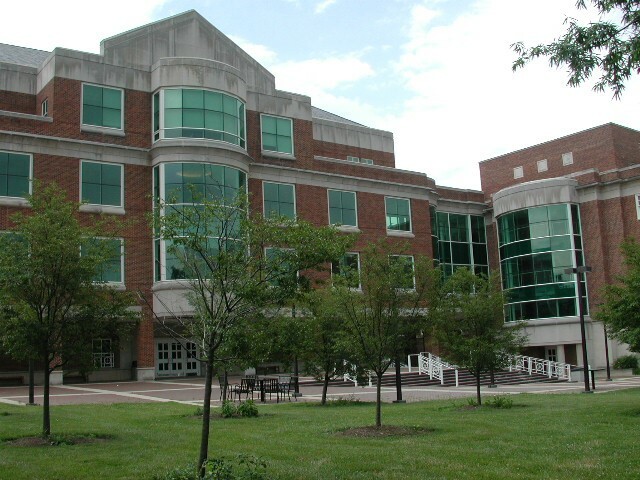 In many ways, graduate school is an apprenticeship in not only conducting research, but also in seeing this research through to publication in the peer-reviewed literature. I am hard pressed to think of more than a handful of multi-authored publications, throughout my career, that do not include at least one person who was either a graduate student or post-doctoral fellow at the time the paper was written. For this, I am most proud! 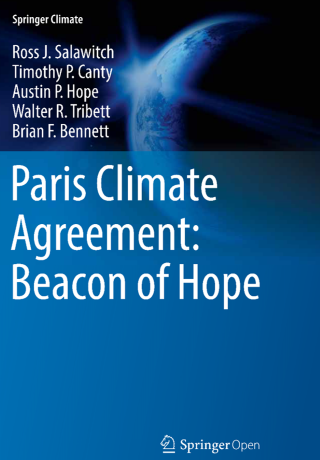 Recently our group published a book with Springer-Climate on the Paris Climate Agreement:. 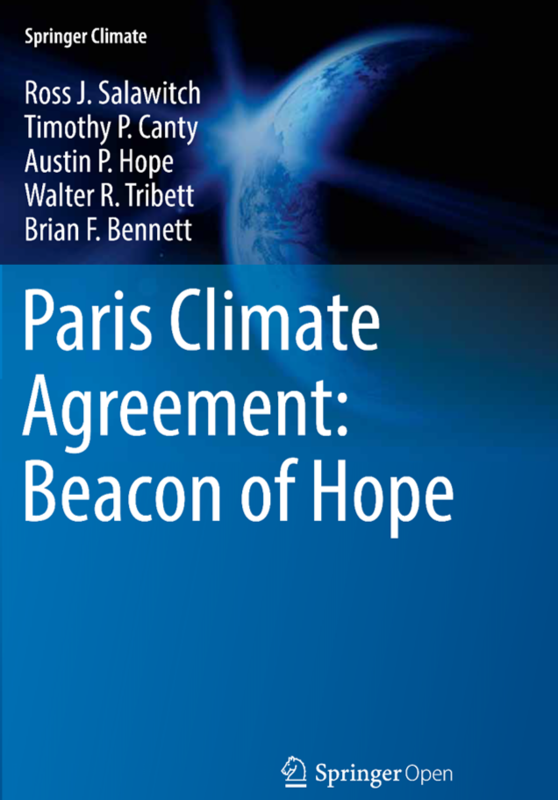 Images from this book will be included in the upcoming Decadal Survey for Earth Science and Applications from Space to be published by the National Academy of Sciences, as well as Climate Science Special Report to be issued by the U.S. Global Climate Change Research Program. Links will be posted once these documents are available on-line. Austin Hope, who conducted the climate model simulations in the book, was a graduate student at the time the book was written. 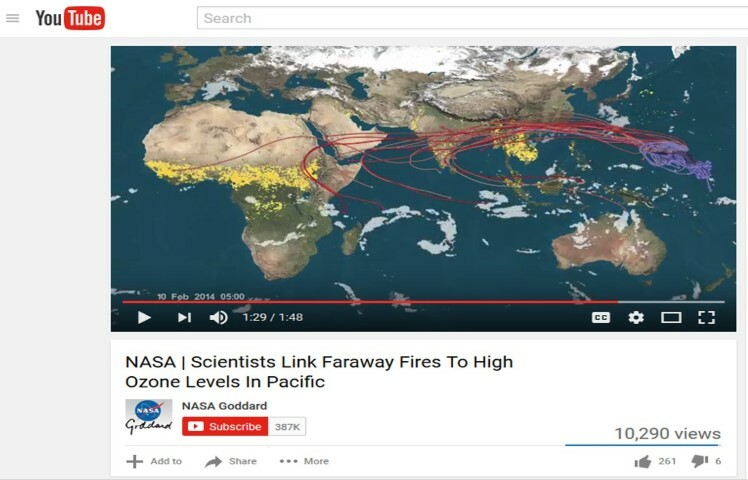 Here is a screen capture of the video that features Dan Anderson, another graduate student at the time the paper was published (Dan is presently a post-doctoral research scholar in the group of Ezra Wood, at Drexel University). 6 down arrows; yikes. 2 of them we had expected. But the other 4 ... oy vey! 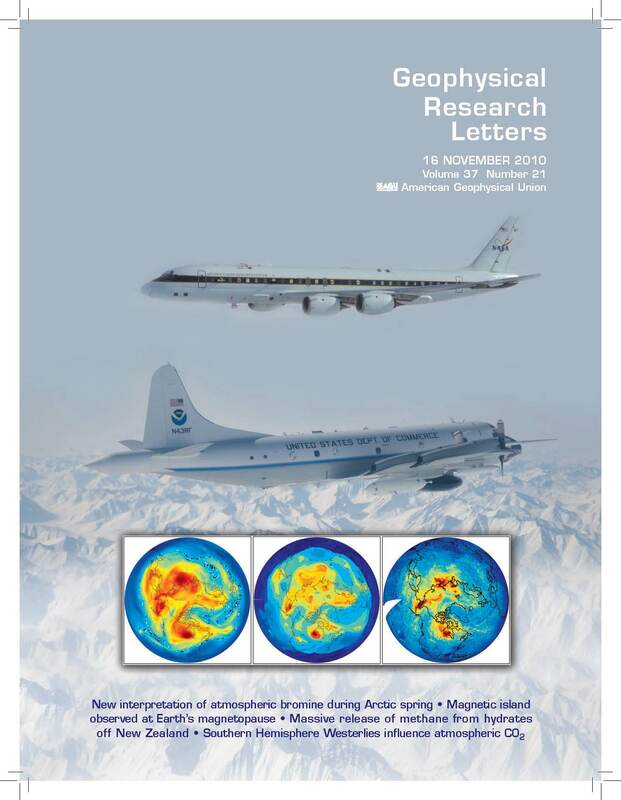 We showed many "hotspots" in the satellite record of total column BrO are actually due to compression of stratospheric air associated with a low altitude (high pressure) tropopause with the ultimate origin of the measured BrO being biological processes in the tropical oceans, rather than surface release of inorganic (non-biological) bromine. The paper has been cited more than 50 times since it's publication in 2010. And, this work was featured on the cover of the journal, back when people still received paper copies in the mail. Alas, those days are gone. Once completed, the content can be exported to ORCID. Also, FYI, after papers appear, they must be manually uploaded to these databases. If this is not done, the database will become stale. I generally upload papers to Researcher ID a few times a year (i.e., generally after class ends in winter, and summer) and them export content to ORCID.